EVGA is best-known as a manufacturer of retail graphics cards based on Nvidia's GPU technology. However, like many firms, EVGA realises that having all of its eggs in one basket is a high-risk strategy that can come unstuck should Nvidia's fortunes stall. Diversification is the standard economic response at mitigating obvious risk. To this end, EVGA has released a number of motherboards, chassis, mobile products and a burgeoning line of power supplies. 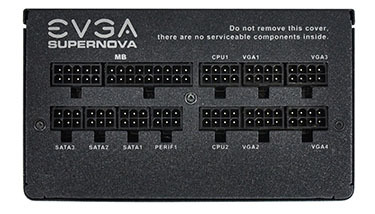 EVGA's premium line of supplies are grouped under the SuperNOVA banner, currently encompassing eight units. 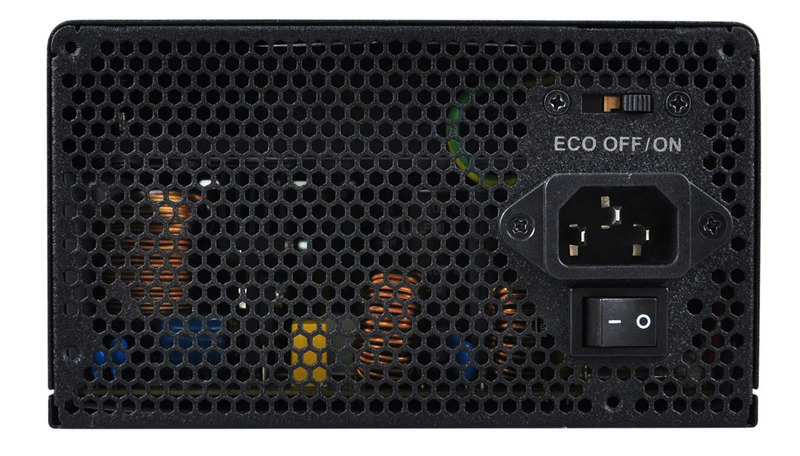 Four of these PSUs - 750W, 850W, 1,000W and 1,300W - are suffixed with the G2 model, and we have the 750W model in for review today. The SuperNOVA 750 G2 is a fully-modular supply rated at 80 PLUS Gold efficiency. Measuring 180mm deep it is a tad longer than most other supplies in its class, though we can't foresee this being a problem in any reasonable chassis. We like the matte finish that feels good to the touch and doesn't show-up fingerprints like other supplies can. Build quality is very solid - there are no squeaks or rattles even when shook vigorously. Up top, a 140mm dual-ball-bearing fan takes up most of the width of the chassis. 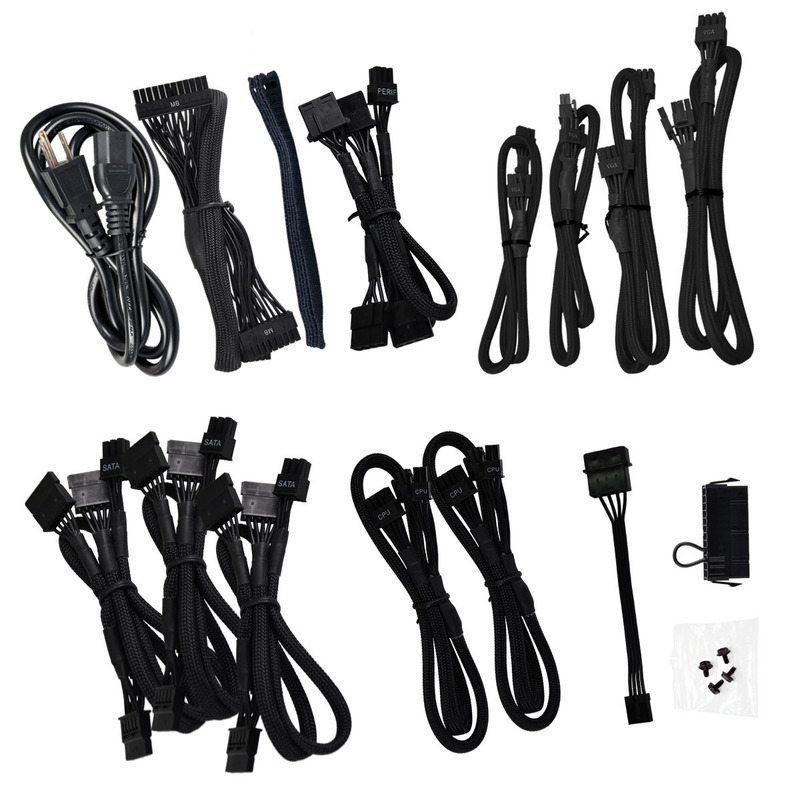 We look for decent lengths and enough plugs to power a high-end build. The cables are fully-sleeved and labelled for easy connectivity, but we'd prefer them to be flat, aiding neater installation. EVGA does offer the user individually-sleeved cables for a mind-blowing €64. Knowing how the cables are arranged illuminates that all can be used concurrently. The sockets accept the plugs very easily, unlike some supplies, so routing inside a chassis is straightforward. The rear is somewhat interesting for a change. An ECO button, just above the AC power inlet, can be activated to turn the fan off at low to moderate loads. 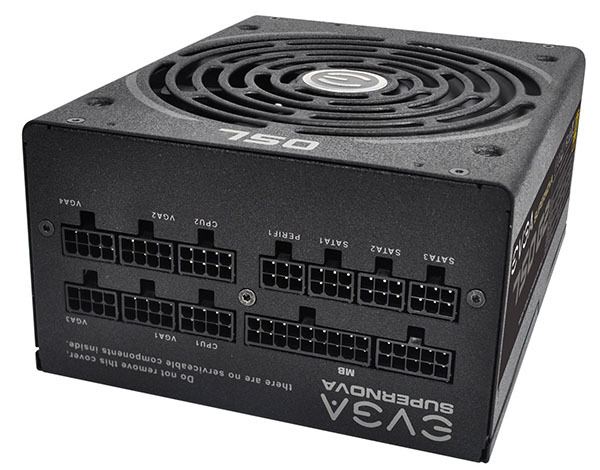 EVGA doesn't list the wattage required for fan activation - it is likely a combination of wattage and temperature - but we appreciate the feature nonetheless. Keep it switched on and the fan spins at all times, albeit slowly when under idle load. 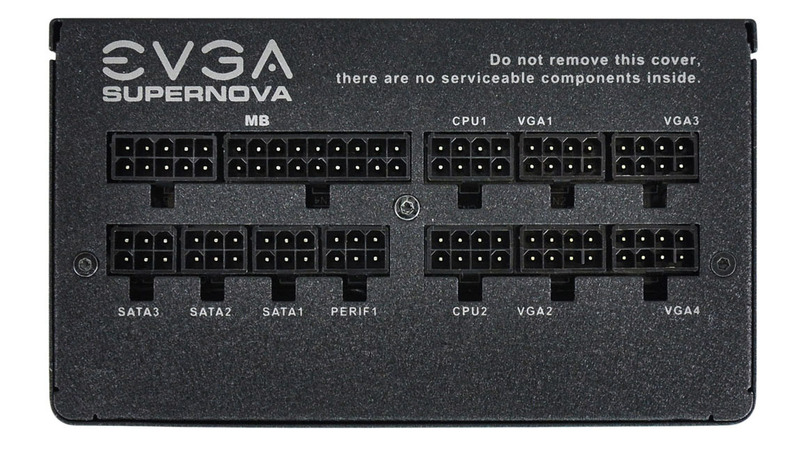 EVGA uses a single 12V rail to mete out almost all the available capacity. 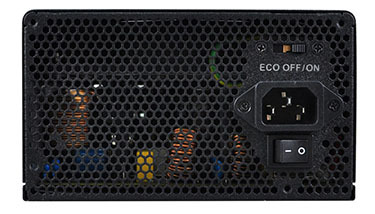 Good engineering means the maximum continuous rating of 750W is at an ambient 50°C. The SuperNOVA 750 G2 is backed by a 10-year warranty, amongst the longest in the industry, and it covers parts and labour for that period. Perhaps with a nod to the name, Super Flower is the original manufacturer of the supply, though EVGA has it tuned for its preference. This supply uses the same basic innards as the Leadex Gold 750W, we believe, but improves upon it by using all-Japanese capacitors. Priced at £85 and therefore very competitive against other 80 PLUS Gold supplies sporting a similar specification (but with shorter warranties) let's now see how it performs.